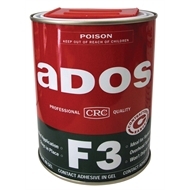 ADOS F3 is a thixotropic, high-strength contact adhesive. 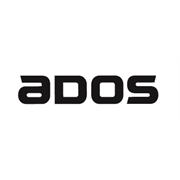 It is formulated to be non-spill and non-drip, giving greater control of application and better coverage. This gel feature makes it ideal for vertical and ceiling applications and for bonding onto porous surfaces, e.g. Gib board. 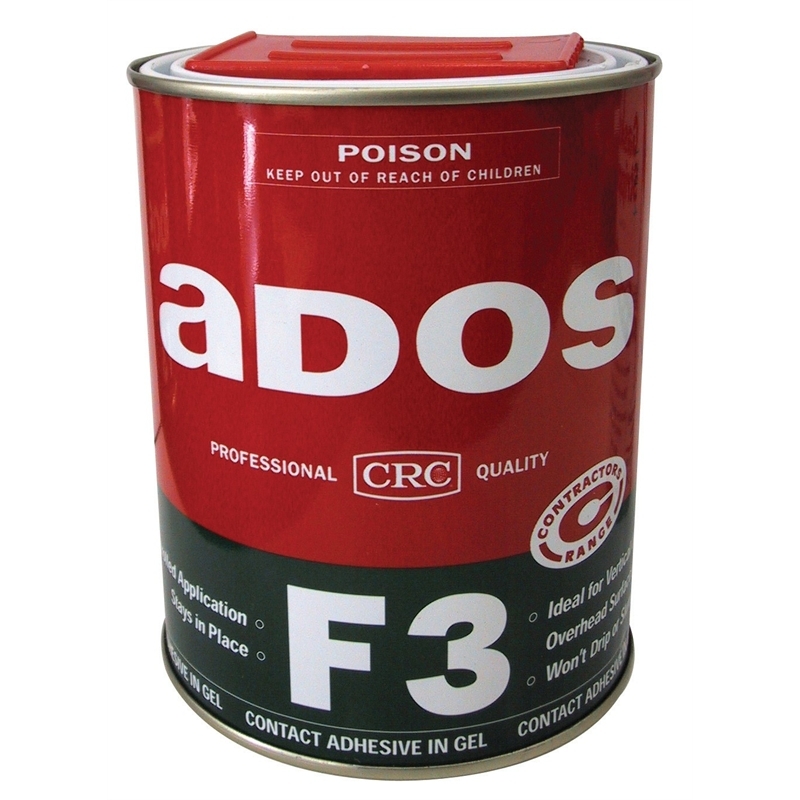 ADOS F3 will not soak in as other liquid adhesives do, giving excellent results on porous surfaces such as the end grain of particle board.